In this week’s Martin & Sylvia: More Adventures! story "Too Much", Daddy invites Martin and Sylvia to join him at the annual town auction, and they hesitantly agree. Momma senses that they might not want to go and uses lesson time to help them realize that the auction might be too much. I think that, as the holidays wind down, we all can sometimes get the feeling of needing to take a break from “too much”. As much as I love putting up our holiday decorations and preparing special meals, the bare walls and simpler fare of January can feel like a deep breath of relief after all of our celebratory activity. After overindulging on peppermint bark and rich roasts, I often spend the first week of January craving salad. But just because salad is simple doesn’t mean it has to be plain or boring. The salad below is quite simple—just 4 ingredients, plus a light vinaigrette—but by using crisp butter lettuce and bright, seasonal citrus, it doesn’t feel drab. Enjoy it some winter evening when you need a little break from “too much”. 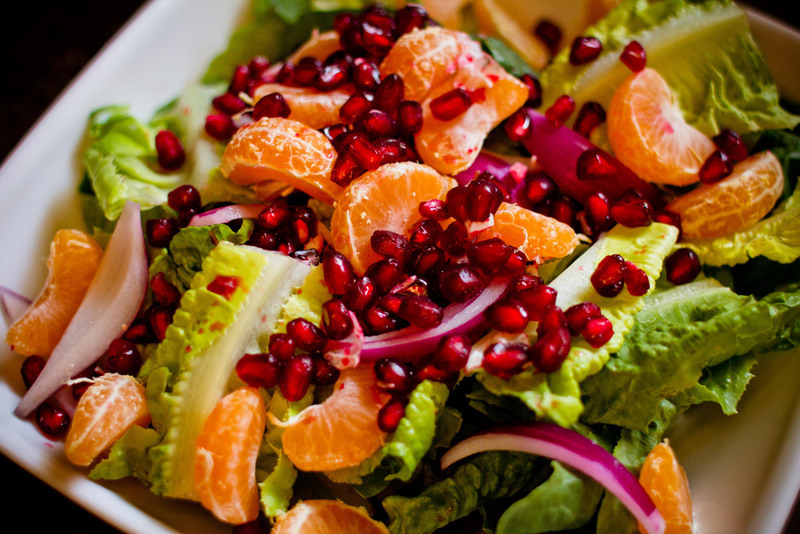 Assemble the salad in a large bowl — first the lettuce, then the onions, then the clementines, then the pomegranate seeds. In a small mason jar or other lidded container, combine the ingredients for the vinaigrette. Shake the container vigorously for about 60 seconds, then pour over the salad and serve.